I've used Bomb Cosmetics for years now, and if you've been following me for a long time you'll know how much I love their brand anyway due to the past reviews I've done about them and their products in the time I've been blogging. 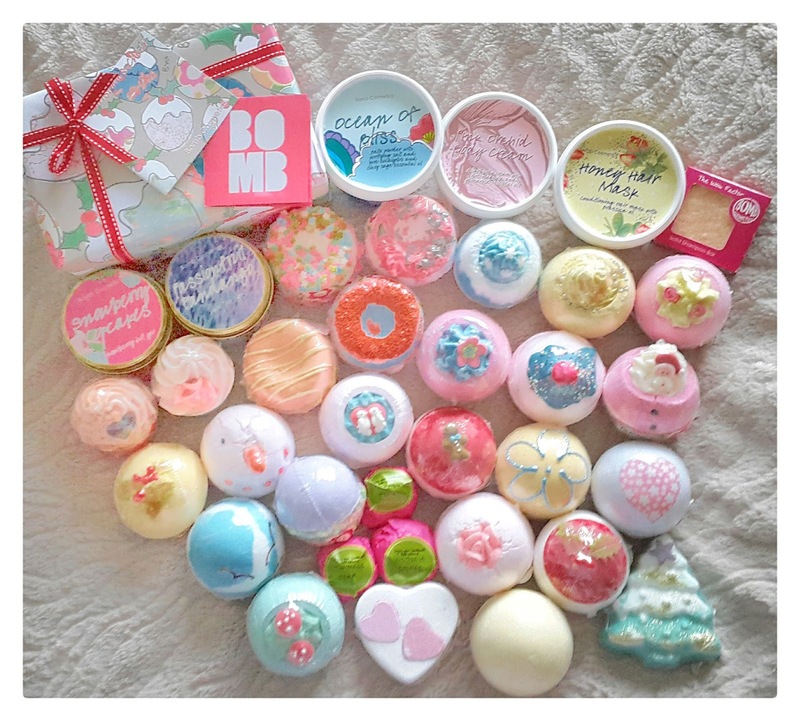 I know that a lot of people love Lush Cosmetics and I do admit I like some of Lush Cosmetic's products but nothing for me compares to Bomb Cosmetics. So when Bomb Cosmetics got in touch with me and asked me to review some of their products I was more than happy to do so. The next day I received a box in the mail and I couldn't believe my eyes when I seen the size of it! 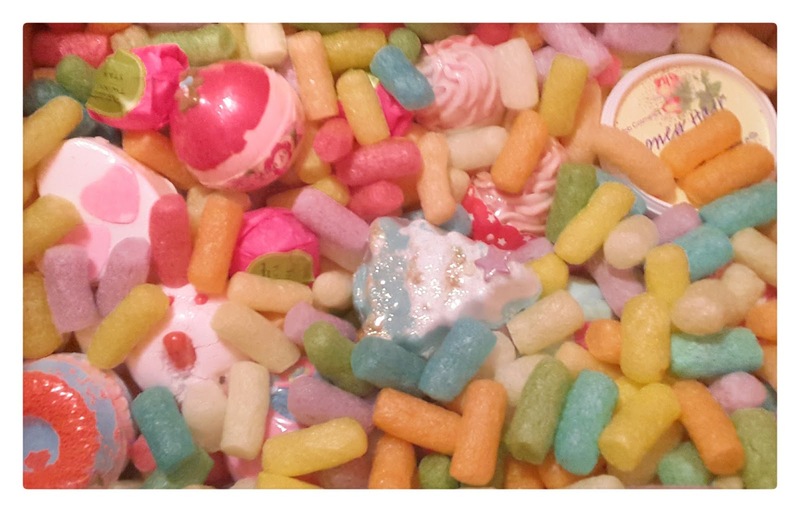 Bomb Cosmetics was established over seventeen years ago and started life on the South coast of England. Beginning with just a few bath blasters at UK trade shows, our unique brand now brings beautifully hand-crafted products to over seventy countries around the world! Bomb Cosmetics create fun and affordable bath, body, face and shower products as well as our constantly growing home fragrance range. Why not make Bomb Cosmetics part of your beauty regime? They pride themselves on making our products not only smell and feel wonderful on your skin, but also look beautiful too! Bomb Cosmetics carefully source the best ingredients, natural butters and pure essential oils, and minimise our packaging as much as possible to ensure that their little luxuries don’t hurt the planet, and only nourish and care for your skin. And don’t forget, all of our products come with free extra love! Their promise to you: all of their products are made by Bomb Cosmetics, in their own premises. They believe in the power of essential oils, they believe that home-made is always better. And when they say home-made, they really mean home-made! Bomb Cosmetics is against animal testing. They believe neither animals, humans nor the environment should suffer for our luxuries. They have never, and will never, test their finished products of ingredients on animals. Bomb Cosmetics recycle whatever they can and use recycled materials or packaging whenever possible. They don't waste money or resources of the planet on unnecessary packaging and they use natural ingredients whenever they can. I haven't used the Bomb Cosmetics Christmas Cheer Gift Pack yet so I don't know what's in it as I haven't even read the little note tag with it so I can be surprised when I open it. I will be reviewing all of these soon! 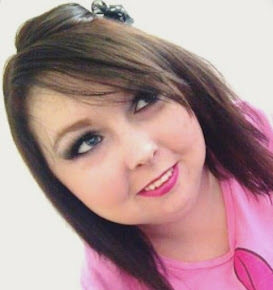 If you'd like to check out the Bomb Cosmetics website then just click on the name highlighted in the colour pink or to find your local Bomb Cosmetics Store then click here. 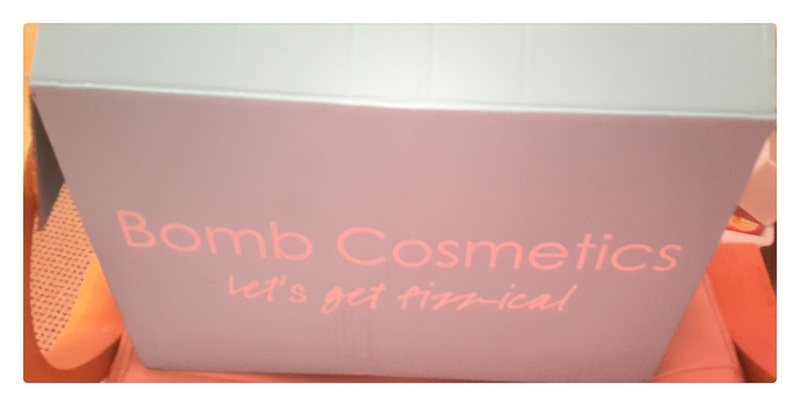 I hope you all enjoy this blog post and think about trying Bomb Cosmetics and placing some orders with them as they really are worth it. Expect a lot of reviews this year on this brand as I've fallen in love with them. I hope you all have a really wonderful day! Wow you got so much! I'm always looking for alternatives to my usual Lush buys so I will definitely have to check them out! Wow look at all those goodies! They all look so pretty as well. I'll be looking forward to reading more about this brand on your page.